We design it. We make it. You live it. With over 20 years of experience, you are in good hands! We can customise any kitchen design to suit your requirements. A small showroom and lower overheads means a more competitive price. Does a lack of storage space have you struggling in the kitchen? Are you tired of searching through dark and cramped cupboards to find what you need? 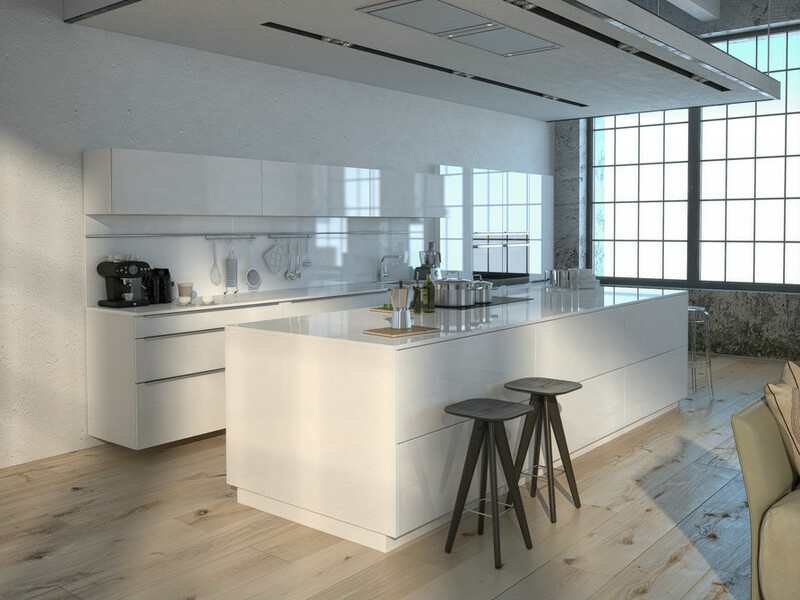 At WA Kitchens, we specialise in working closely with our clients to understand what they really want from their kitchen and coming up with creative and efficient ways to deliver it within their budget and time-frame. Our expert team of designers, engineers, and our cabinet and cupboard makers will work with you to bring whole new levels of functionality and style to your kitchen. WA Kitchens have been combining imagination with functionality to create elegant, sophisticated and practical storage solutions for over 20 years. We understand that every project is unique, which is why our designer and cabinet makers pay special attention to your wants, needs and desires in order to design the perfect space for your home. From the initial consultation through the final result, our care to detail will uncover all the exciting potential of your space. If a renovation is too big an undertaking, or if the structure is good but the style is out of date, a cabinet resurface may be the right choice for you. We will replace the doors to your cupboards and cabinets, as well as installing new hinges, handles, even countertops as required. As well as providing custom designed cabinets, we are also able to offer flat pack kitchens in a range of styles, materials, colours and accessories. 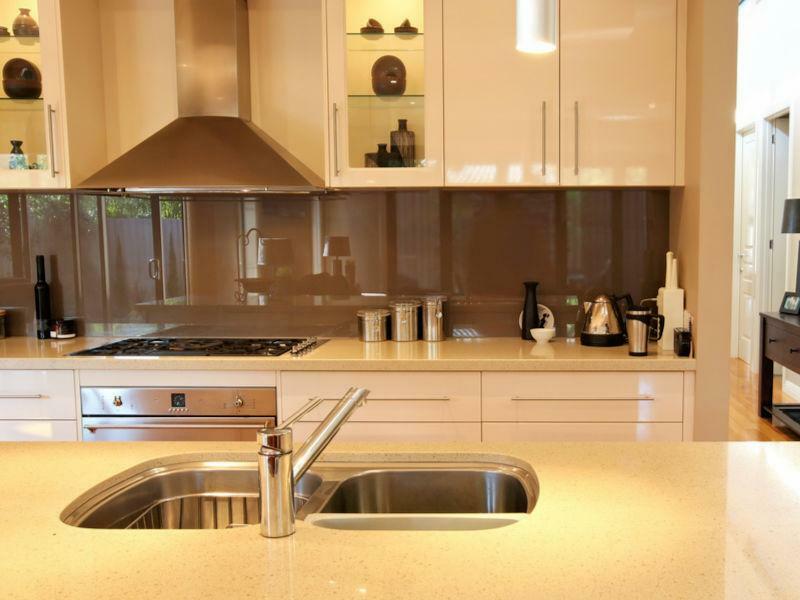 WA Kitchens are Perth’s most trusted designers of new kitchens, as well as experienced makers of custom cabinets and cupboards, and we are ready to work with you to transform your space. Whether you’re planning a complete renovation of the home or just want new doors for the cupboards, we can work with you to design and deliver a kitchen that suits you and your needs perfectly. Make the most out of the space with custom cabinets and cupboards, designed by our expert team in Perth to suit your needs and in the style that you want. For any questions relating to our custom cabinet, cupboard and storage solutions service, or any of our other listings including our range of flat pack kitchens and cabinet refacing service, feel free to give us a call and we’ll happily assist. Our friendly team are conveniently located in Osborne Park near Perth, but we can work with clients across WA. You can reach us by 0424 786 508 or by sending an email directly to brian@wakitchens.com.au and we’ll get back to you as soon as possible. “The kitchen was finished this afternoon. Mike and Brian just fixing up the last minute bits & pieces. It really does look fantastic. You should be proud of a job well done. Your magic touch can be seen all over.We will recommend WA kitchens to our friends and family. Our family is delighted with our new kitchen. Everyone we dealt with from WA Kitchens and all their contracted tradesmen were friendly, reliable and helpful. The outcome is a beautiful and functional space we love using. We recently renovated our kitchen, laundry and bathroom with WA Kitchens. The end result was amazing - we are so happy! Mike and Brian have been fantastic to deal with throughout the whole process. Throughout the planning phase, Mike spent many hours with us, listening to our needs/wants to ensure that he came up with the perfect design. Communication from start to finish was excellent and they were always reliable and punctual, ensuring that the job was completed on time and within budget. They are extremely professional, their quality of work is outstanding and I would recommend them to anyone! Thank you to Brian and his team at WA Kitchens for helping us to plan and complete our kitchen which was quite a challenge due to it not being one of their own design. The customer service, attention to detail and the quality of workmanship is second to none. Brain gave excellent advice before installation and assisted with helping us choose colours for the stone tops and re designing and fitting of units several times until I was happy. Brian and his team have been a pleasure to work with. Brian kept in contact with progress updates on a regular basis and always delivered on time. The price was pretty good too. Thank you for taking the time to assist us in having the kitchen of my dreams. I can highly recommend WA Kitchens. Mike and Brian from WA Kitchens have done a brilliant job transforming my boring old kitchen into a fresh and new looking kitchen. I kept my original granite bench top and carcasses and just replaced the doors and draws. The quality of workmanship is exceptional and they both provided outstanding customer service. I will certainly be recommending WA Kitchens to my family and friends. WA Kitchens provided us with an excellent level of service starting with design support and finishing with expert craftsmanship and installation of the bespoke study and cabinetry that we had designed, made and installed by Mike and his team. The quality and finish of the cabinetry was spot on to what was agreed with Mike and Brian assisting us willingly along the way to make necessary changes during the installation process. Mike and Brian worked hard to ensure that they kept a tidy worksite, and completed on time as per the plan. It was an absolute pleasure to work with Mike and Brian and I would definitely recommend them to anyone who is looking for kitchen / bespoke cabinetry design, manufacture and installation. After getting several competitive quotes for our new build kitchen in Mandurah I was concerned about awarding it to a Perth based company. I needn't have worried, Mike and Brian proved to be as good as their word arriving on time every time. The progress or the kitchen was so good I quickly increase the order to the whole house i.e. vanities, built in robes, laundry cupboards and specialised units in a study and theatre room. The job has turned out great. I have no hesitation recommending WA Kitchens and these guys to anyone wishing to renovate or new build their cabinetry. Brian, Mike and the boys did an absolutely amazing job on our kitchen renovation!! The results were so above and beyond what we could have ever imagined. They were complete professionals from the design phase through to installation. They were in constant communication with us and always did exactly what they said they would do. We highly recommend WA Kitchens. When we began our renovation Marnie had only one request - "more bench space". Mike considered the kitchen from every angle, then sent us drawings. Now the drawings have been turned into a kitchen that has Marnie floating on a cloud. And if she is happy, I am happy. In fact, I think the product is worth more than 5 out of 5. I'd give it 10. Great job by Brian. Nothing was too much trouble - exceptional customer service, attention to detail and responsiveness. A refreshing company to deal with. A dog lover too - which is great when they are in your home for a couple of days! Brian, Mike and the team did a fantastic job. They have just completed 10 kitchens for us in a new Apartment Complex in Rivervale. They all look fantastic and have been built to a very high standard. I would recommend them to anybody. Our kitchen was transformed by WA Kitchens!!! The excellent advice, expert build and timely delivery make working with Brian, Mike and Peter a very satisfying experience. A big thank you to the team as they also stayed within our budget which was very important to us. Brian was very helpful and knowledgeable. The installers were friendly and completed an excellent job. I would hv no hesitation in commending WA kitchens. Thanks Brian and crew. Renovating a kitchen from the other side of the country proved to be a much simpler exercise than expected with the help of WA Kitchens. Brian's customer service was exceptional: his communication was excellent and he was very prompt in carrying out any requests. The kitchen they built for us looks absolutely fantastic and I have no hesitation in recommending their workmanship. Thanks to all the team at WA Kitchens for a wonderful and speedy renovation. Brian and Mike were really helpful. They were always on time, their advice was professional and we appreciated their creativity and experience. We were amazed that the job was completed - as promised - in two days. We have already recommended them to friends. A job well done! Would like to thank Brian and all the team at WA Kitchens for an amazing job. My husband and I were thrilled with the service from start to finish. As my husband works full time I dealt with Brian in regards to the work we needed. I have a 2 year old and anyone with children knows how hard it is to get anything completed with a child around. Brian went over and beyond to accommodate this and make the whole experience stress free which was a massive bonus for my husband and I. He was extremely professional and always keeping us updated on what was going on. We look forward to working with wa kitchens in any future work we require. Thanks again guys! I would definitely put your trust in these guys! My first renovation ever, and was quite nervous at the start. But after dealing with Brian, Tim and the team, and now having exactly what I wanted, I would have no hesitation in recommending WA Kitchens. First class service, and a first class Kitchen. Im cooking like a boss now! Big ups for the WA Kitchen team. Brian and the team were great to deal with throughout the entire kitchen renovation. Everything happened exactly when we were told, nothing was late. The design was implemented within hours after meeting and a 3D image sent through with exactly what we had in mind (if not better). While we had to wait for our benchtop, the team made a temporary benchtop for us to be able to utilise the space (it’s the little things that really matter). WA kitchens use the best quality hardware and materials and have proficient contacts with regards to benchtops and carpentry. If you are after a kitchen done well, I would highly recommend WA Kitchens because our house is now more like a home with a stunning kitchen as the centrepiece. Fantastic experience from start to finish. Mike and Brian came up with a brilliant design from what was a drab old kitchen. I had no previous experience in design or renovations, so relied heavily on the experience of the team at WA Kitchens. First class workmanship, Mike completed all the cabinetry to the highest of standards. Also assisted in purchasing of all appliances. Would recommend to all. Thanks again Mike and Brian. Bill. On time, under budget and so so slick! Absolutely no stress with these guys, would definitely use again. Yippee, loving our new kitchen. Glenn and I are very happy with the way the guys handled all stages of the renovation, always keeping us in the loop with what is going on and when. The work was done within the stated time and we couldn't be happier with the finished product. 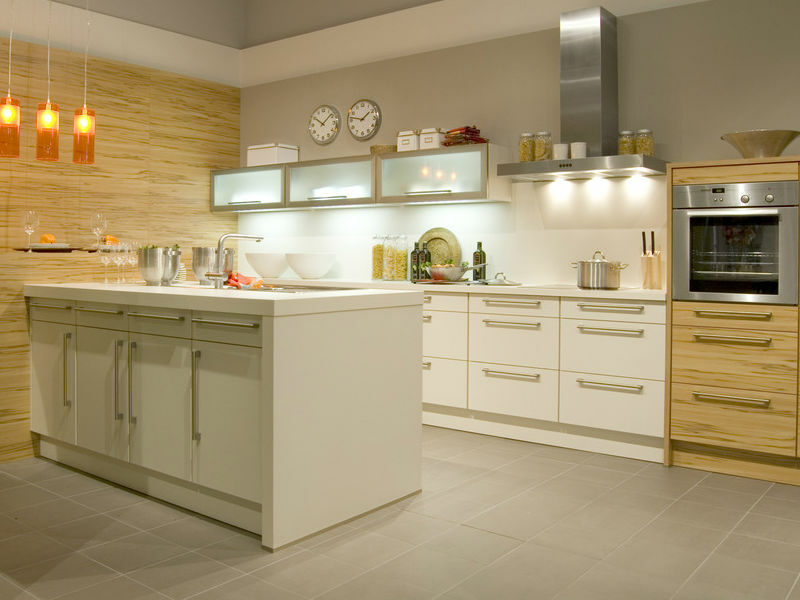 We have no hesitations to recommend WA Kitchens to all. Can't keep me out of the kitchen now, no need for a chain here, hehe. First class customer service, from the initial consultation to the final installation. Brian and the team really understand their client's needs.